Should You Protect All of Your Creative Work? | Goldman & Minton, P.C. Should You Protect All of Your Creative Work? When you look around your studio, do you see piles of design sketches in one corner, stacks of canvases layered against the walls, or thumb drives full of images collecting dust in repurposed ashtrays? Perhaps the scene is your computer desktop which reflects hundred if not thousands of documents, PSD or .jpg files in no apparent order other than the random grid created by your operating system. Whether it was from a frenzy of creativity or long, labored hours of concentrated work, your workspace looks like a tornado went through it. Deep in that jumbled mess are your creative gems, the once rough cut stones that you have carved and polished until the facets sparkle back at you. You probably know where it all is, but you suspect you may have forgotten that some of your best work even exists. Sorting through your collections of as yet unfinished stones, the folders of notes, the boxes of textures, forms and ideas in order to tend to the protection needs of your completed jewels seems a daunting task. There must be an app for that. You know (and not just because I've told you) that not having the appropriate protection mechanisms in place for your best work stops you from making the kind of money you should be making from that work. Doing what it takes to protect those pieces that have the greatest potential to generate revenue is a necessary evil of the creative process. But sometimes, for some creators, artists and writers, the sheer volume of creative production keeps them in stasis when it comes to protection, unable to do anything other than create more work. It's the opposite of writer’s block. Your Muse is singing loudly, drowning out all other actions that you as a creative professional must take to further your career, your business as a creator, an artist or writer. Does your workspace, desktop or studio bear any resemblance to what I’ve just described? Creating more work may be the best way to increase the odds of earning a living from it, but not at the expense of leaving your finished work exposed to exploitation by others. With the advent of robust digital technology that gives creators nearly unfettered access to fabulous tools of creation and allows creative professionals to profit from their work comes increased exposure to the risk of infringement. ​It doesn’t have to be this way. The task of protecting your creative can be tackled efficiently and effectively. ​The problem is how best to identify the work that needs protecting. There are two parts to this problem, the first is learning how to identify the work in your portfolio that can be protected, and the second is determining which of that work in your portfolio that should be protected. 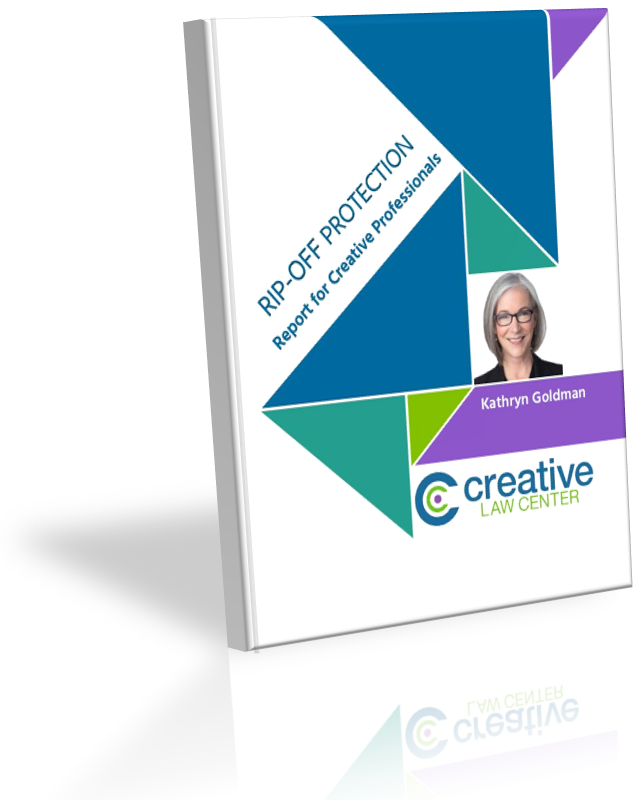 Proper identification of protectable work reduces the amount of time spent doing the actual protecting and gives you more time to create new work. Identifying which work in your portfolio to protect begins with understanding certain elements of copyright law. Although copyright law applies in both the digital world and in the analog world, the fact is that the law simply has not caught up with technology. Even the Digital Millennium Copyright Act, or DMCA, though a powerful attempt to update the law to reflect changes in technology, is in many ways a dated half measure. Creative professionals must use the tools at their disposal to protect and enforce their rights despite the limitations offered by the law. The dominant legal tool for protection of creative work is the United States Copyright Act. The DMCA comes in second for digital enforcement. Applying copyright law, a law that was designed for an analog world, to a digital environment has proven challenging for creators and the courts. And while there are many proposals floating around to improve copyright law in the face of technological advances, those proposals are slow to come to fruition. The primary purpose of copyright law is not to protect the economic interests of authors, artists and other creative professionals. Rather the purpose of copyright law is to promote the progress of the useful arts — including creative works — providing an incentive for creation by giving authors certain exclusive rights in their works for a limited period of time. Essentially the law says, “We're going to give you a certain amount of time for you alone to exploit your creative work commercially but the only reason we're doing this is so that knowledge continues to be developed and art continues to be created.” It’s not really about allowing creators to make a living. Making money has to be squeezed into the corners of Copyright Law. Copyright exists in a work the moment it is created. It’s a lovely idea in theory, but in practice the concept is not that useful. In order to be able to protect a piece of work, you have be the author or have the rights of the author assigned to you. Initially, the copyright in a protectable work is owned by the work’s original author or authors. Creative work made as part of an employee's job is owned by the employer. In that case, the employer is considered the author for purposes of copyright. If the work is created by an independent contractor under a work-for-hire agreement, the person or entity who contracted for the work is the author. In short, before you file a copyright application on a piece of creative work, make sure you have the right. Will It Make You Money? If you’ve spent a lot of time planning to market and commercialize a certain piece of work. Any piece of work in which you have invested a significant portion of your business planning for revenue generation most certainly should be protected. There is no sense in developing income generating work without protecting it. If you have a piece of work, an image, a story or a video that is constantly requested by others, shared, or infringed, it’s worth investing in a copyright registration for that piece of work. You may not be able to predict which piece of work is going to become an Internet meme — especially if you create a large volume of work — as a practical matter you can’t protect everything, but when a creation of yours does take off, protected it then. Any creation that is near and dear to your heart, something that has a special meaning for you, is a work you should invest in protecting. Chances are that someday you will want to enforce your rights to that work or you will find a way to monetize that work. You love it for a reason, protect it. Do you own the work? Does it have the potential to make you money? The answers to those two questions will help you cut through the clutter in your work space and build your portfolio of protected gems. Glad you enjoyed it, Janet. Massive amounts of work left untended is something many artists struggle with. Hi Kathryn . . . Robert Butler here. I’ve talked to you about these things before. An idea about protecting a large amount of your work: If you have “hundreds of documents” of personal creative writing, print them all and compile them into a “book”, give it a name, and send it to the © office. I did this back in 1978 with a bunch of song I wrote by making a book of songs, complete with sheet music for each song, and mailed it in. With this method you also pay one © fee for a lot of different work. That’s a good idea for unpublished written work. Thanks for the tip. I mean, ouch – but I wish I had been told this long ago. It drops a sharp dose of reality on the tongue, but forearmed is forewarned, so thanks again. The law seems to be about the art, not the artist. I think that’s one reason why transformative fair use has made such broad inroads on derivative rights. I’ve written more about that in Appropriation Art, Richard Prince and Copyright. Thanks, Kathryn, for another informative article. You are such a treasure to those of us toiling away on our computers. Have a great day and a wonderful upcoming weekend. Always nice to hear from you, Aya. Thanks for dropping by. > Should You Protect All of Your Creative Work? Yes, ALL of it! And this is from personal experience. It’s a mistake to assume that only one’s best works will ever be licensed (sold) and potentially infringed. When creating art, artists may not fully realize the quality of their work until years later when viewing it with fresh eyes. Art can be akin to a bottle of wine; it may take many years for it to mature (find an audience). It’s not uncommon for art directors/clients to select artworks that creatives have selected as second- or third-tier quality work. It’s often difficult to predict which of our artworks will be reliable best sellers. In the end, whether your on-line work is judged quality or garbage, it can still be infringed! 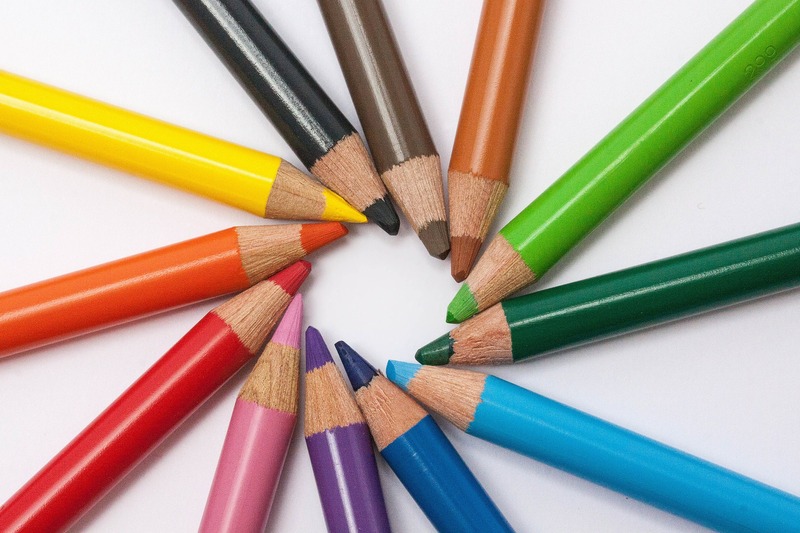 Consequently, all your artwork needs to be timely registered with the US Copyright Office. To mitigate costs, the best plan is to group-register all your un-published artworks (no limit) in a Standard eCO $55 Application. To qualify as “un-published” (best & safest practice), the artworks must be registered BEFORE publication, BEFORE selling/licensing, BEFORE distributing/making copies, BEFORE posting to web & social media sites, and BEFORE releasing them to clients, friends, and family. 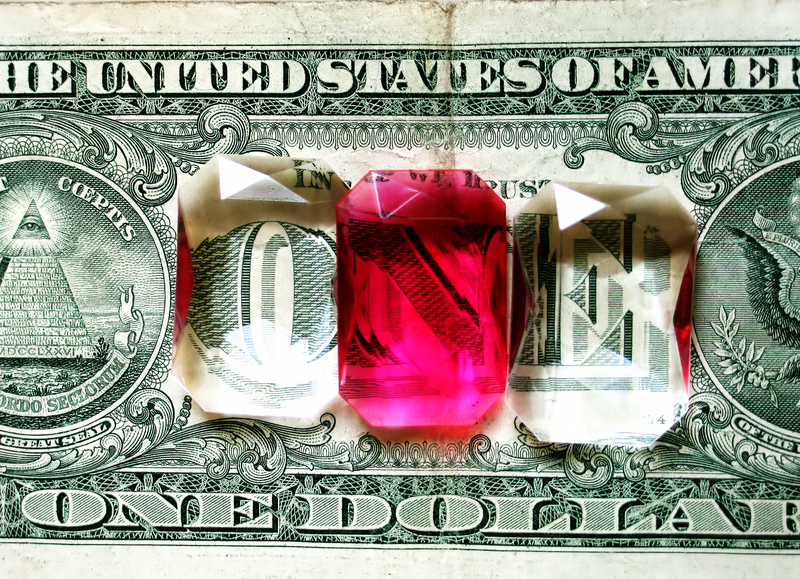 Notwithstanding your creative skills, your copyrights are the most valuable art asset you own. Timely register ALL of your artworks, the good, bad, and ugly ones!